Refine your look in an instant with this Michael Kors strap watch. 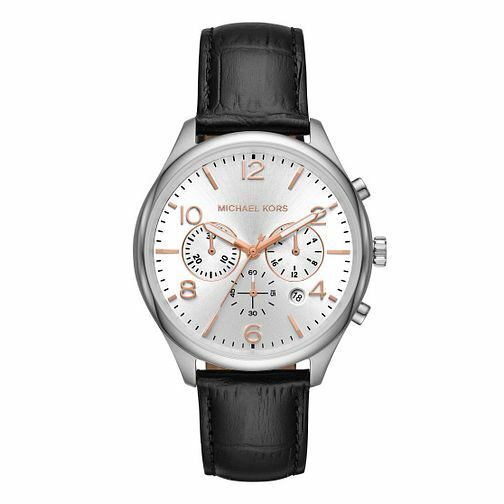 Taken from his Merrick collection, the classic silver dial with rose gold accents partners well with the black leather strap. What’s more, with a two years warrantee and water resistance up to 5 AM, it’ll remain stylish for years to come.